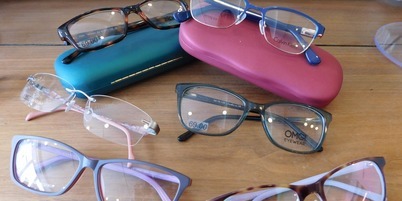 We provide independent, community-based optical excellence for all of the family, in the heart of beautiful Topsham. Our eyes are the most valued of the senses, and they are as important to us as they are to you. We will provide a tailor made service to suit your exact needs. 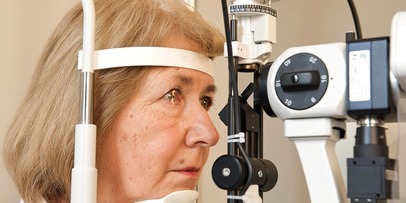 We welcome both NHS and private patients for examinations, utilising some of the latest technologies such as Optical Coherence Tomography to assess your eyes in depth. If you are a contact lens wearer, or interested in trying contact lenses, then we also cater for all types of contact lens needs. We offer a wide selection of frames and lenses, as well as assisting with more specialist corrections like safety spectacles or sports vision. We are also happy to offer a bespoke frame search service if you have a particular requirement. If you are unable to attend the practice for examination, we provide a home visit service covering Topsham, Exeter and the surrounding areas. We are also proud to offer full hearing care services in association with our partners Bloom Hearing Care . 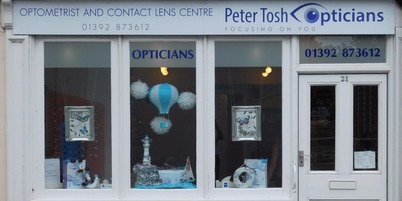 So, whatever your needs or concerns, let Peter Tosh Opticians in Topsham ‘focus on you’.